David Meyer demonstrated leadership and dedication in high school. 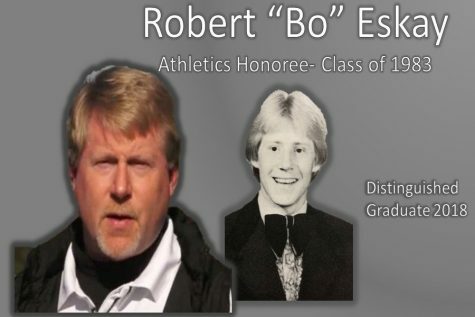 He was the drum major in the marching band, member of the debate team, and part of the county champion academic team. 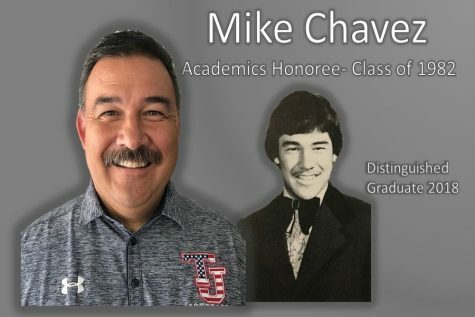 He is now a “full bird” Colonel in the United States Army and is receiving the 2018 Distinguished Graduate award for Public Service. 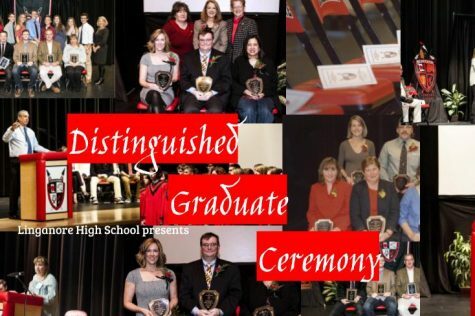 The Distinguished Graduate Organization annually recognizes alumni for their accomplishments. 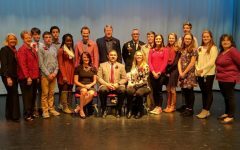 Alongside Colonel David Meyer, five more Linganore alumni will be honored at the Distinguished Graduate ceremony on November 20. 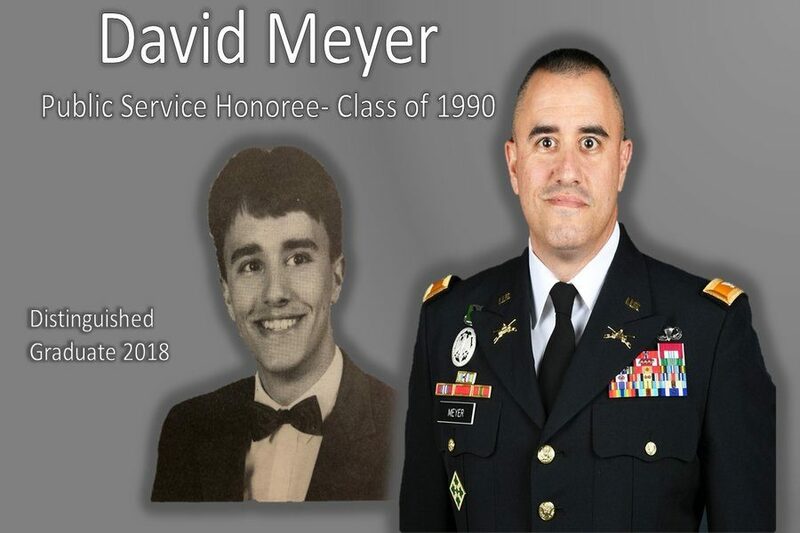 Meyer received a Reserve Officers’ Training Corps scholarship after high school and went on to study political science and history at Frostburg State University. 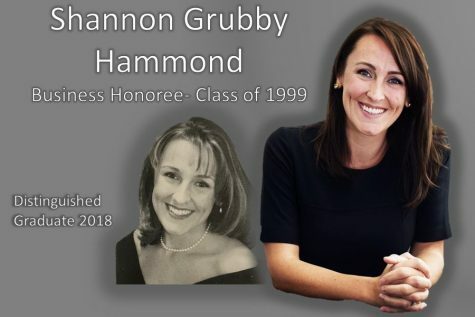 He earned two masters degrees in Theater Operational Planning and Strategic Studies at the U.S. Army School of Advanced Military Studies which is the premier operational and strategic planning school for the U.S Army. A normal day for Meyer starts with an hour of working out from 5:30 to 6:30. He then instructs a class at 8:30 at the Army School of Advanced Military Studies, the school he once attended. The students he teaches are all Majors who volunteered and were specially selected to attend the school. The rest of the day is spent either preparing for the next day’s class or going to meetings. Meyer is the first member of his family to make a career out of the military. He always considered a military career to be very honorable. 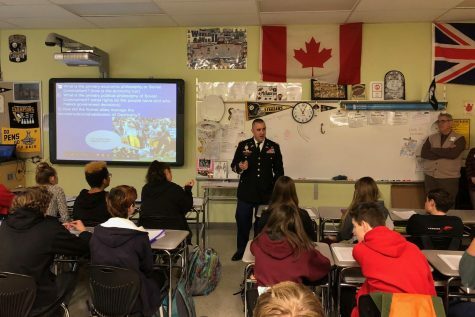 Throughout high school and college, Meyer admired teamwork and comradery, which he later found in the army. 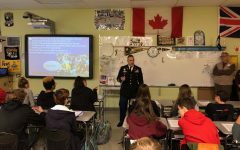 “The army always appealed to me because it was a chance to belong to something greater than myself,” said Meyer. 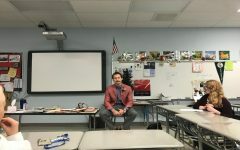 While at Linganore, Meyer had three teachers who influenced him: science teacher Dale Peters, math teacher Jim Devilbiss, and band director Dan Richmond. Meyer saw them as strong role models who drove him to achieve more. Meyer knows that it is often hard to find the positives in every situation and that it is easy to be negative. 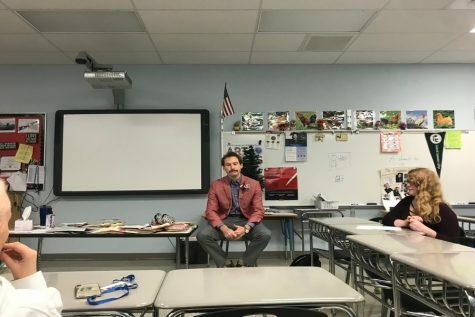 In high school, Meyer focused on learning the things he loved and he encourages current high school students to do the same. 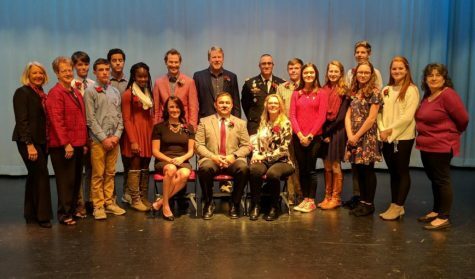 Meyer lives on the military base at Fort Leavenworth in Kansas with his wife and two children, Nick and Victoria.